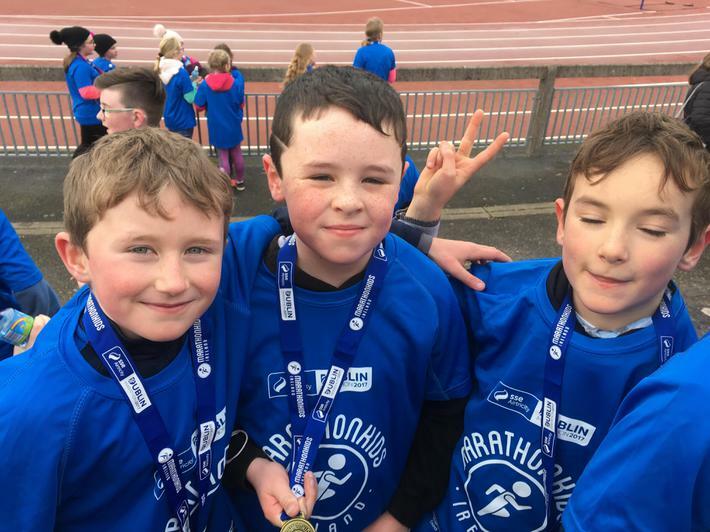 Well done to all our Marathonkids! 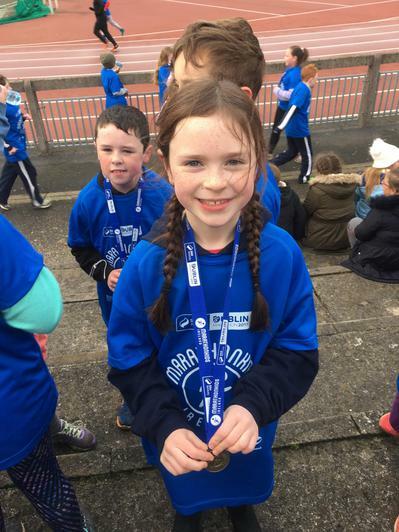 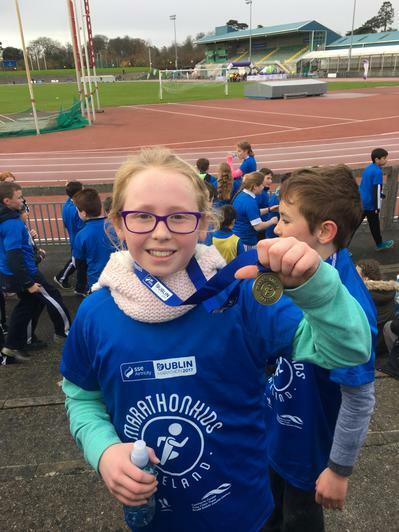 Well done to all of the children from 3rd to 6th class who took part in the Marathonkids programme this year. 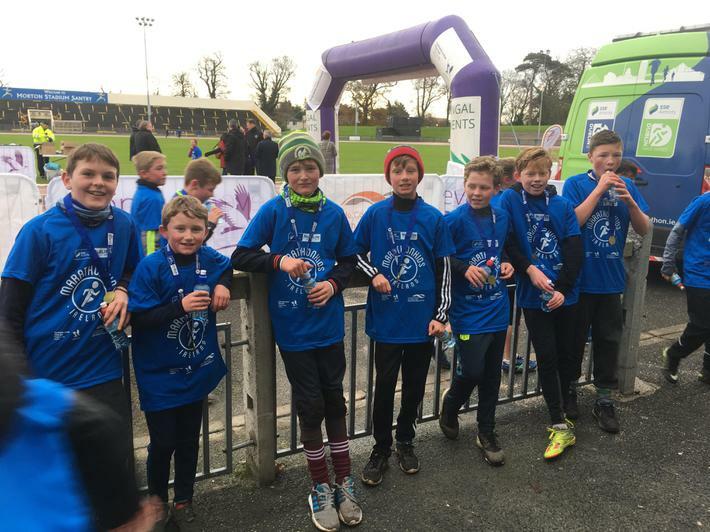 48 pupils -over half the school- participated. 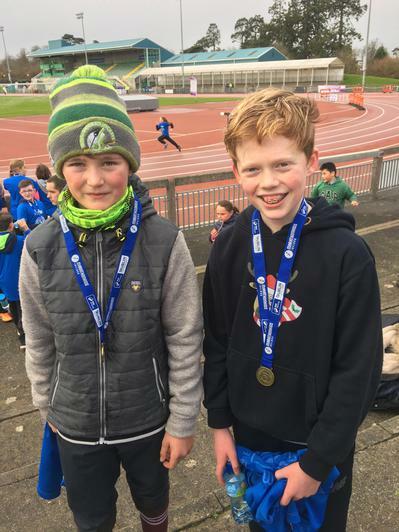 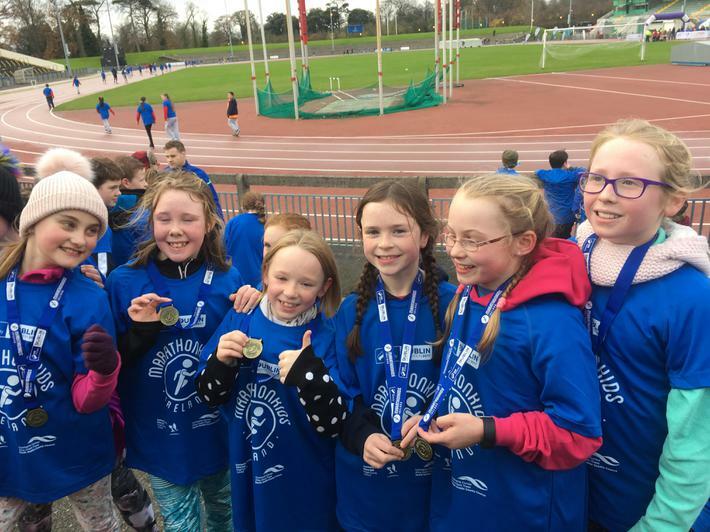 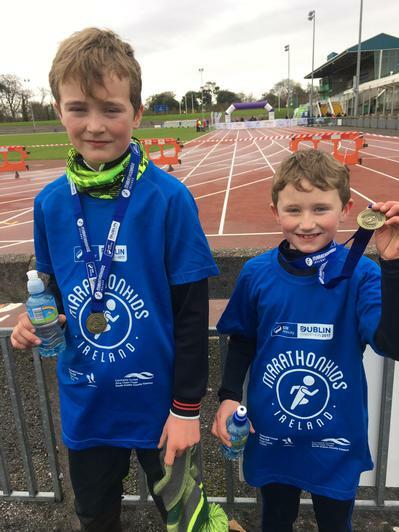 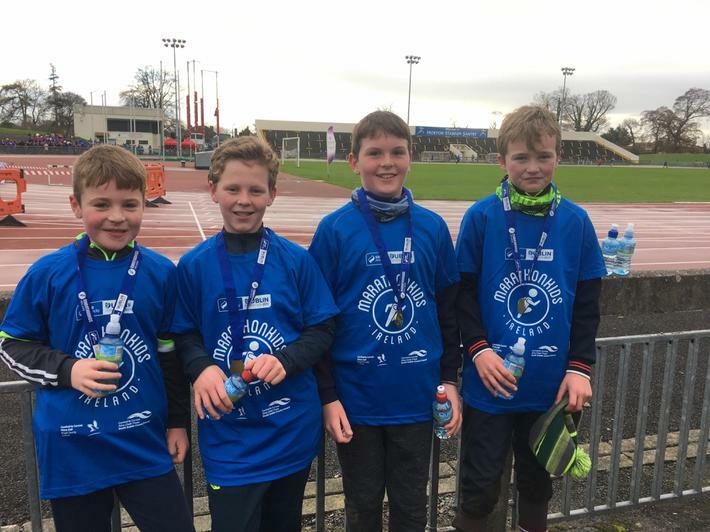 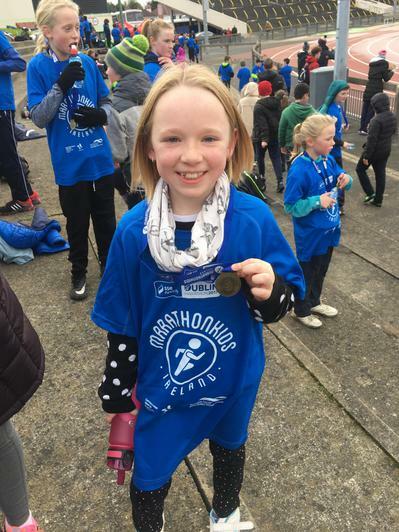 The final mile took place on Thursday 30th of November in Santry Stadium. 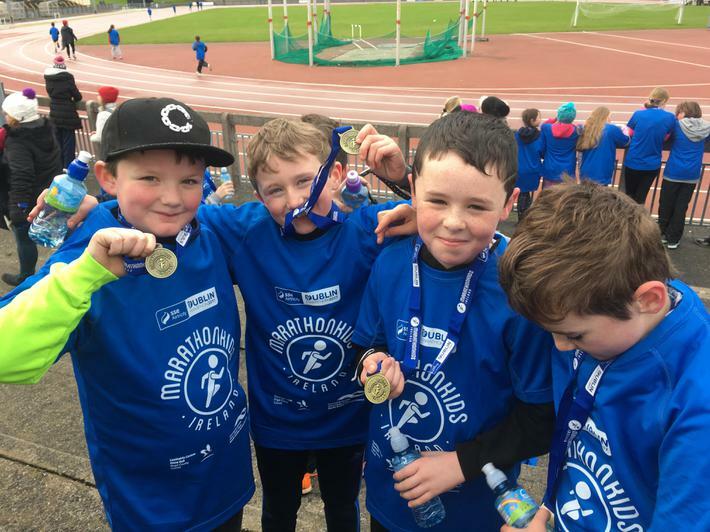 All of the children participating received a t-shirt and medal to mark their great achievement.